Between the Buried and Me have been writing, rehearsing, and compiling ideas for their eighth full length album over the last several months. Finally, they have begun tracking with producer Jamie King in North Carolina. The band’s latest release, The Parallax II: Future Sequence, earned the band their highest Billboard Top 200 chart debut of their career at #22, and was widely heralded as one of the best progressive albums of 2012. With album number eight, the band promises to continue to challenge themselves and expand on the elements that makes them one of the finest progressive bands operating today. The new album is tentatively scheduled for a summer 2015 release via Metal Blade Records. 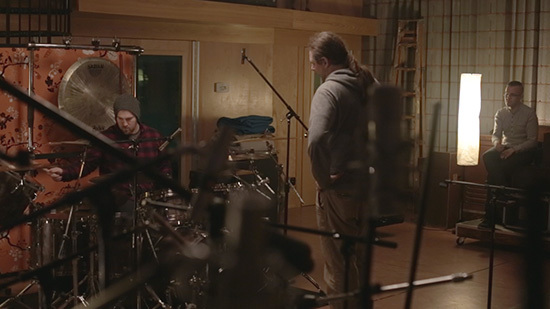 Updates from the studio are being posted across the band’s social media sites, as well as the artist’s personal profiles. For updates from vocalist / keyboardist Tommy Rogers, guitarists Paul Waggoner and Dustie Warring, bassist Dan Briggs, and drummer Blake Richardson, follow the band online at facebook.com/BTBAMofficial.